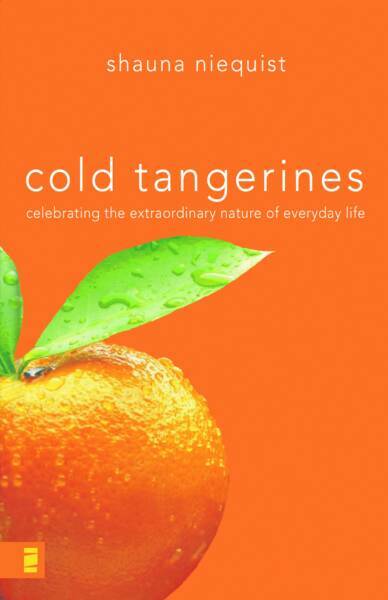 Cold Tangerines is about Shauna’s life. Now you are thinking oh, ok another one of those books about her good properties. Its the book that everyone buys but no one likes. But no. In this book, she shares things she had hidden even from her closest friends. She talks about trying bulimia because she felt fat. She talks about having her first baby. Then bible studies and house church. After all that, she talks about her old, run down house, and says that if you saw her basement, you would describe her as lazy. Then in the end she says that all art is amazing: dancing, singing, pottery, painting all things that are art. And to wrap it up, she talks about how today is the day you should rejoice for. She says you should rejoice for little things like green apples and cold tangerines. Bottom line: It is a lovely book. It is written for grownups, but it is interesting, and I learned many things in a fun way. All in all, I loved it. One of your finest review yet! website accidentally, and I am stunned why this accident didn’t happened earlier! I bookmarked it.